March was a battle between one very pissed off Spartan, a girl named Lightning and too many Pokemon to count. Who came out on top in U.S. video game sales for the month of March? 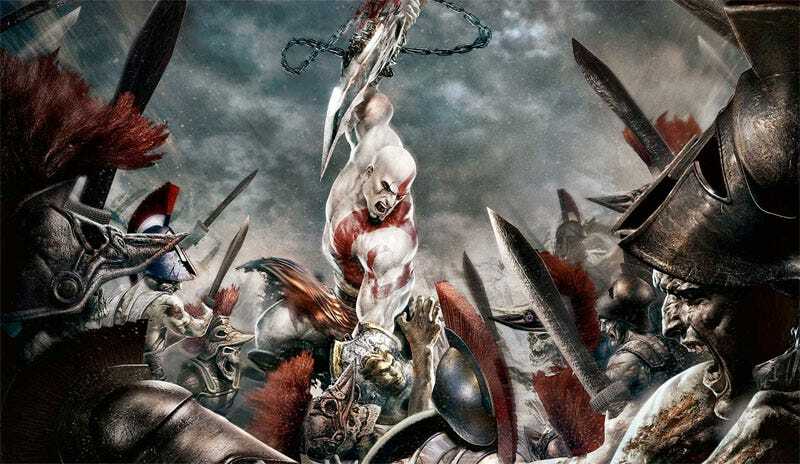 According to new figures from the NPD Group, God of War III was last month's bestselling individual video game, moving more than 1.1 million copies of the ultra-violent PlayStation 3 adventure. Kratos had some competition though, in the form of multiplatform releases like Final Fantasy XIII and Battlefield: Bad Company 2. Both of those titles, when combining sales from their respective platforms, managed to sneak past Kratos while he was beheading and amputating the gods of Olympus. March's biggest game(s), however, was the double release of Pokemon HeartGold and SoulSilver. The Nintendo DS remakes combined for an impressive 1.78 million units between them. Not to take anything away from God of War III's impressive first month performance, mind you, which was 32% better than that of God of War II's when it bowed on the PlayStation 2 in March 2007. Want to see the raw numbers from NPD? Here you go. All told, U.S. consumers spent an impressive $875.3 million on video games in March. The good news? That's a 10% uptick from March 2009. In other bouts of good news for video game publishers, Final Fantasy XIII saw "the best launch for any item in the franchise" with Battlefield: Bad Company 2 surpassing its predecessor by 170%. Call of Duty: Modern Warfare 2 is now the second-best-selling game of all time, after Wii Play, according to NPD.